We are proud to be Badgerland Council approved! Reservations are required. * Please call us at 262-215-5303 to inquire about our Girl Scout partnerships and pricing. 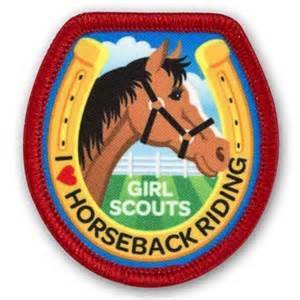 You may also e-mail us at danpatchstables@gmail.com for all Girl Scout-related questions. A fun & educational day! Girl Scout groups will partner with our staff and our horses to earn Horse Rider or Horse Fan badges and learn more about horses! *For groups of 10 or more reservations must be made 1 week in advance.